The Carablend™ is a horizontally-mounted scraped surface heat exchanger. 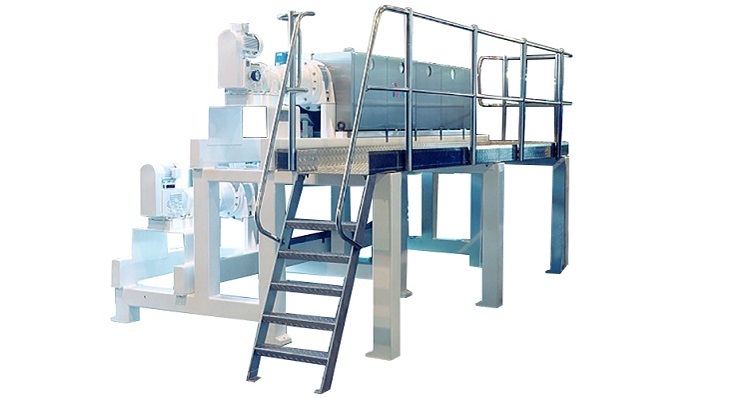 The scraper has a variable speed drive to vary throughput, and has a forward and backward moving design which ensures thorough mixing. 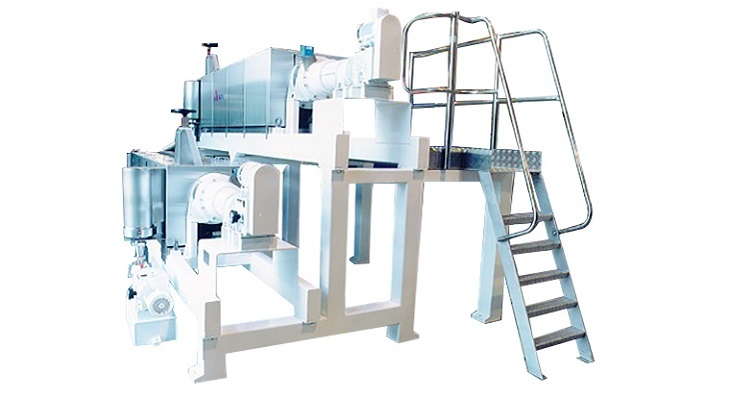 It is manufactured to meet international pressure vessel regulations. 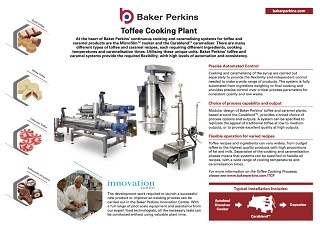 The modular design of Baker Perkins' toffee and caramel cooking plants provides a broad choice of process options and outputs. 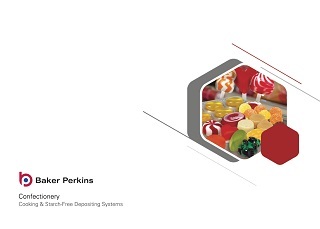 A system can be specified to replicate the appeal of traditional toffee at low to medium outputs, or to provide excellent quality at high outputs. Toffee recipes and ingredients can vary widely, from budget to premier quality with high proportions of fat and milk. Systems can be specified to handle all recipes, with a wide range of cooling temperatures and caramelization times. Supplementary ingredients such as butter, fondant, nuts and flavourings are easily added. There is a choice of process capability and output based around the Carablend™ cooking unit. The TCB Carablend™ is used primarily to cook and caramelize toffee and caramel syrups at low to medium volumes. Cooking and caramelising are simultaneous, and the product matches the ‘home-made’ appeal of traditional toffee. 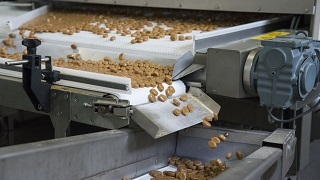 The EC Carablend™ technique provides independent control of the cooking and caramelising stages, and is used when high throughputs with superior product and flexibility are required. 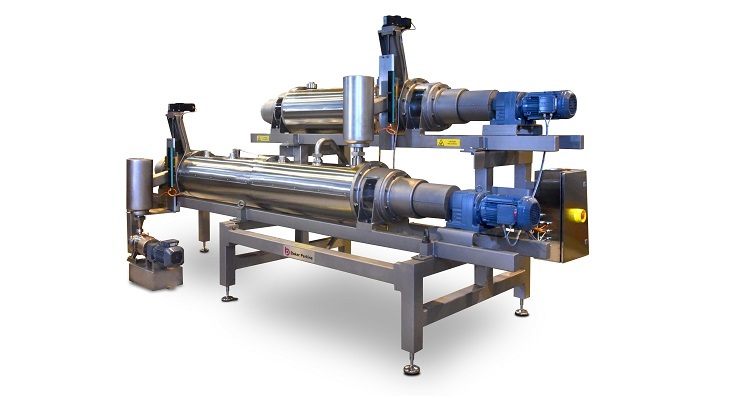 Every system includes an Autofeed fully-automatic system to weigh and mix ingredients to form a premix slurry. A reservoir tank provides a continuous feed to the system. The pre-heater continuously dissolves or pre-heats syrups before cooking and caramelising. The TCB Carablend™ cooks and caramelizes the syrup and applies pressure to achieve the correct final moisture content. In an EC system, a Microfilm™ unit is added for the cooking operation, while the Carablend™ unit caramelizes the pre-cooked syrup.